I have a project over at the Trendy Twine blog today, hop on over and take a look! 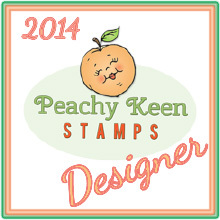 I used some bumblebee twine, stamps from Jaded Blossom and a cute Peachy Keen face stamp. I love the Cuties Mary makes and I'm so happy she includes the printables in the extras folder. Sometimes you just want a simple print n cut file, like these notecards I made. 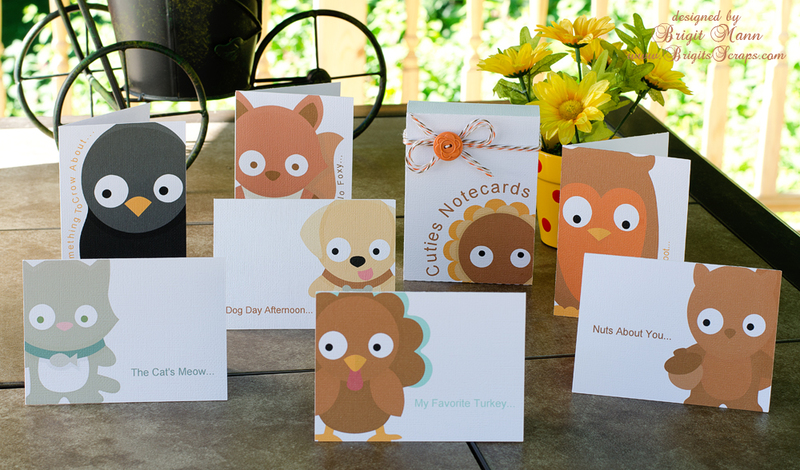 All the animals are from the Thankful Cuties Collection, so adorable. 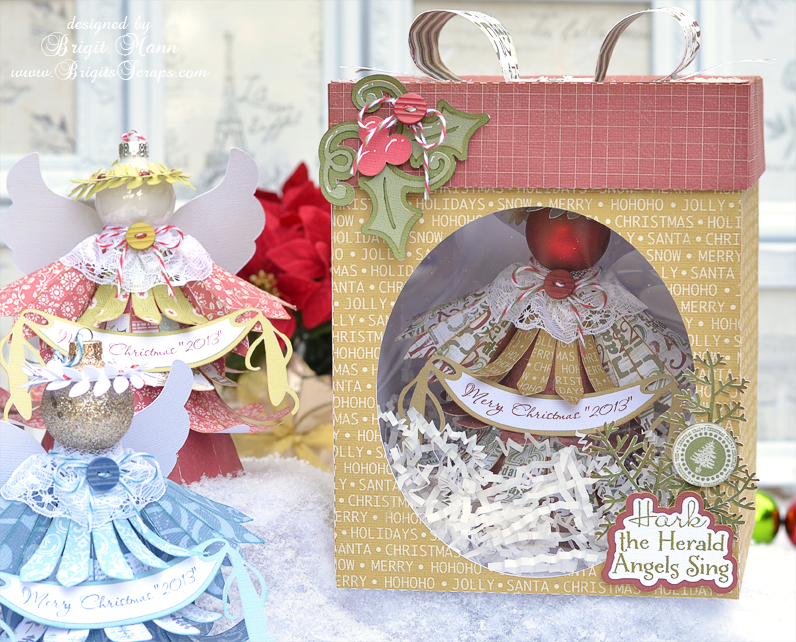 I was so inspired to make these after seeing Melanie's from The Paper Retreat, I love how she made her Christmas cards. I also used one of the boxes from the Gimme Candy kit, I just resized to fit the notecards. I used some Chocolate Truffle, Orangesicle and Krazy for Kraft Trendy Twine on the box. 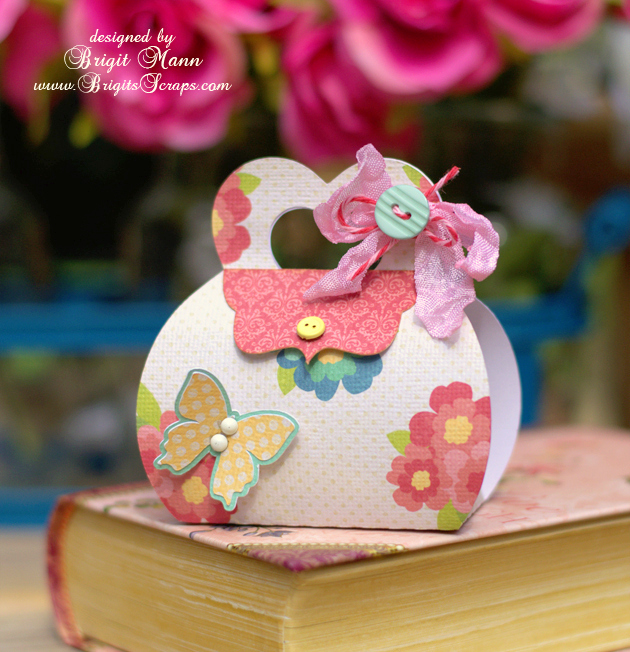 Lori has so many beautiful cards in her store and I love pairing them with one of the 3d bags or boxes to create a wonderful gift set. The card is from the A2 Card Base Set 2 which has 4 beautiful card designs included. Fill the cute little purse with some candies or resize it to fit some makeup or a gift card, so many possibilities. The design of this card is so beautiful, I love that lace edge. Definitely want to use it for a Christmas card. 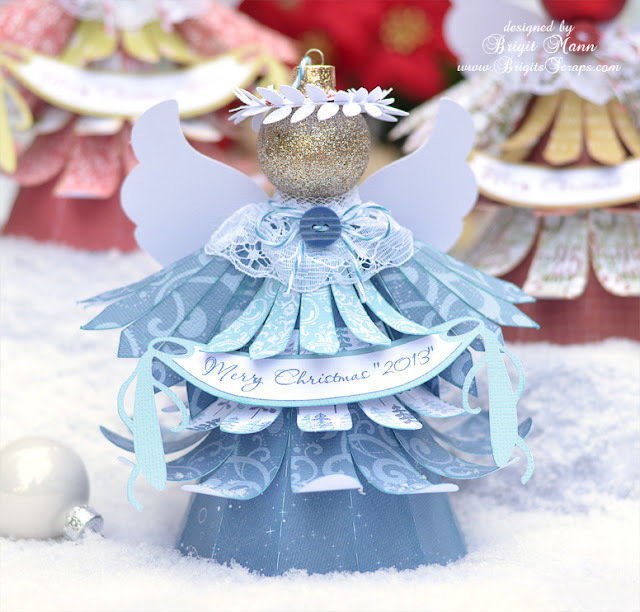 All the embellishments are from Lori's store, except for the label which is from the Silhouette Online Store. The flower is the 3D Flower 5, the butterflies are from the Layered Shapes set and the sentiment comes in the You Make Me Laugh set. For the flap of the purse I used one of the labels that came in the same set I used on the card, just cut it in half and added the cute little button brad. The beautiful digital paper I used on both projects is from Echo Park's Beautiful Life collection. Thanks for stopping by, hope you enjoyed my project! I was so excited to have my By The Sea project published in the summer edition of PaperHaus Magazine. There's so many wonderful projects in the magazine, make sure you check it out. For the frame I used SVGCuts Sew Crafty kit, it's my go to for shadow box frames, I just fold the flaps inside, enlarge the front piece and glue it to the inside of the frame. The elements I used to decorate are from Miss Kate Cuttables, I combined two different sets, Anchors Aweigh and By The Sea. And of course I had to use some Nautical Trendy Twine to complete my project!! This week over at SVGCuts.com we are having a Christmas in July funfest!! The design team members are creating some Christmas projects to share with you!! Everything in the store is 25% off so don't forget to stock up on all your wishlist items use code XMASJULY!! 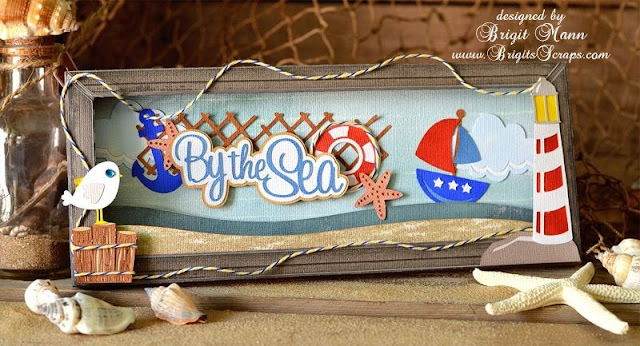 And also there will be a Sizzix Eclips and a Silhouette Cameo giveaway, how awesome is that!! I just love angel ornaments so I used the Christmas Tree from the Christmas Ornaments SVG Kit among other files to create these cuties!! I also used three different colors of Trendy Twine, Blue berry, Berry and a Christmas project wouldn't be complete without some Candy Cane. The Christmas bulbs I picked up at Michaels last year, but you can get them online also, I usually stock up when I see them. 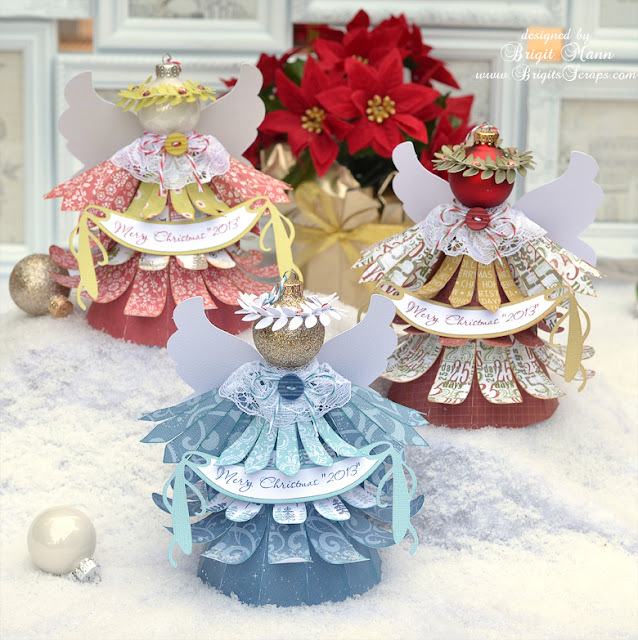 Two of the angels I used Echo Park Paper, This and That Christmas and Winter Wishes and the angel with matching box is Carta Bella's Christmas Day. Makes a wonderful Christmas gift for family and friends. I also included the directions to make the box which fits the angel very nicely. 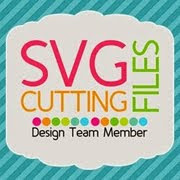 For complete details and directions visit my page at SVGCuts. Well thanks for stopping by, don't forget to enter the giveaway. 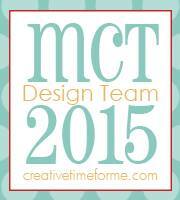 I'm so excited, today is my very first post over at Twine It Up with Trendy Twine as a design team member!! 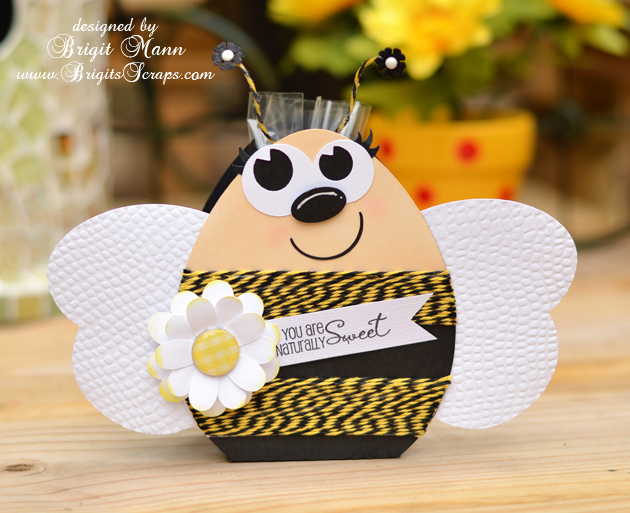 This months new release is Bumblebee, what a fun color to work with! 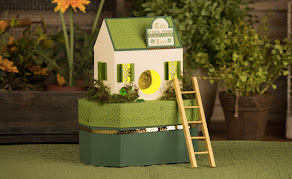 Here is a sneak peek of my project, hop on over to the Trendy Twine's blog to see the whole project, hope you like it!! 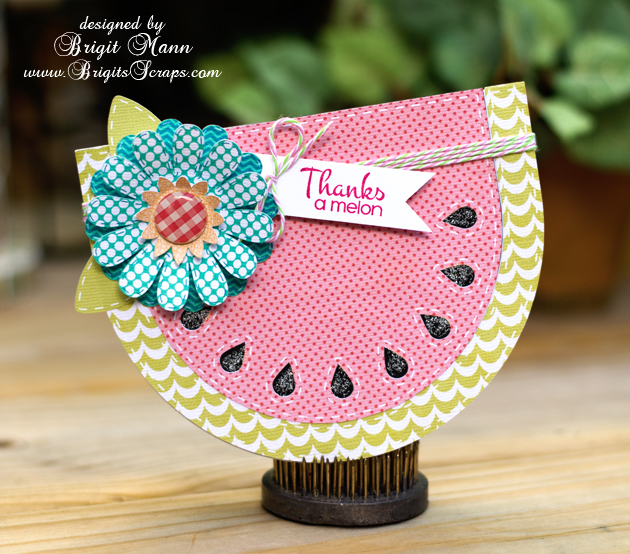 Shaped cards are so much fun to work with and Lori has many cute ones, just like this A2 watermelon shaped card. So perfect for a thank you card, I just added one of the flowers from the 5 layering flowers set and leaves from the 3D flower set 5. 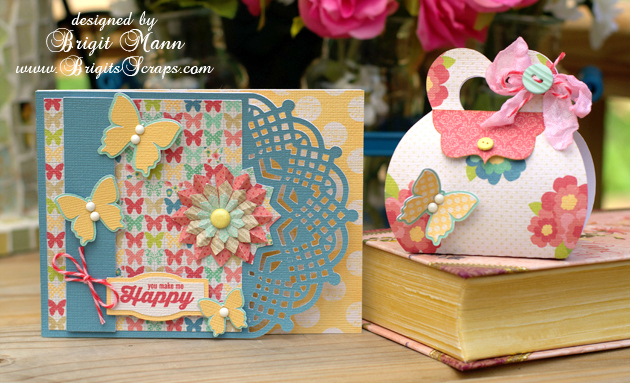 I also used Lori's digital paper Summer Fun, the pretty summer colors went perfect. 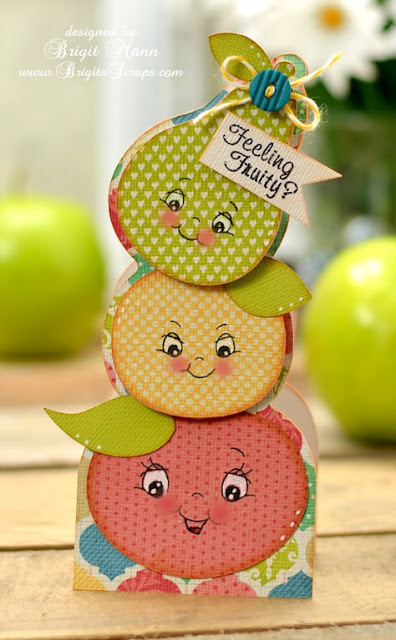 I finished the card with some stickles on the seeds, watermelon taffy Trendy Twine and stamp sentiment from Jaded Blossom's feeling fruity. 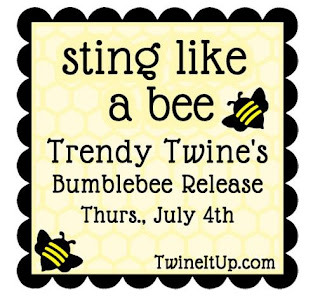 Welcome to the Trendy Twine Sting Like A Bee Blog Hop and monthly challenge, I'm so excited to be joining this wonderful Design Team! The new release for this month is color #49 Bumblebee, how awesome, on SALE today for $8.00!! 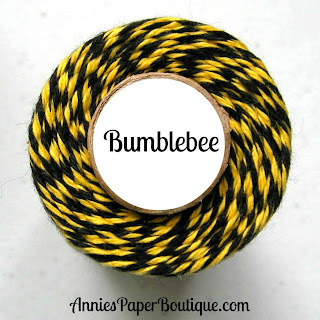 Of course it's perfect for all your bumblebee projects and so much more. 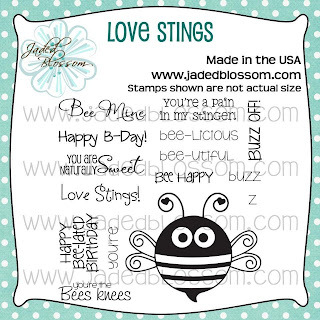 Make sure you start from the beginning of the hop at the Trendy Twine blog and become a follower and leave a comment on all the blogs through the hop for a chance to win some blog candy, Jaded Blossom's Love Bites stamp set, (giveaway ends Friday 5th at 11:59pm cst). 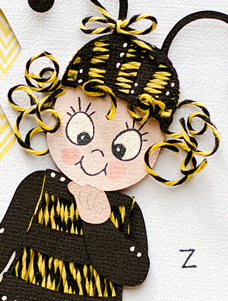 Here's my Bumblebee Twine Project, I used the SVGCuts Easter Egg Treat Bag to make the bee, the flower is also from the kit. The eyes are from a bee in the Silhouette online store. I used some UTEE on two pieces of twine for the antennas. 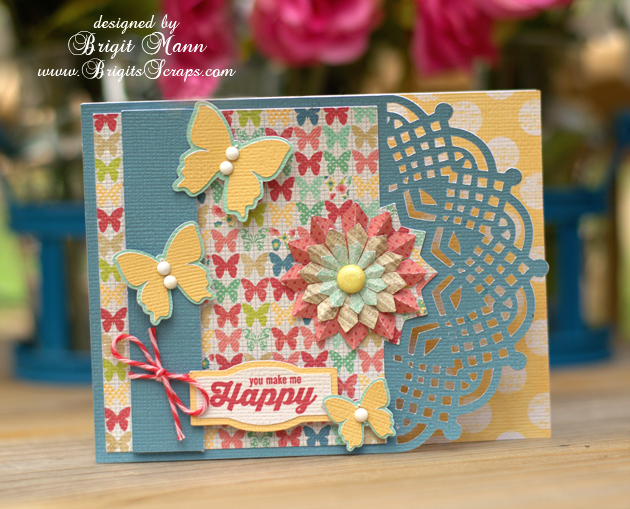 The stamped sentiment I used is from the Jaded Blossom set Love Stings, don't forget to like the Trendy Twine blog and comment on all the blogs through the hop for a chance to win this set! Thanks for stopping by, next up is Candace, she is also joining the Trendy Twine Design Team!! Have a Happy 4th of July! Here's my design team project for SVGCuts, a cute 4th of July card and treat bag. 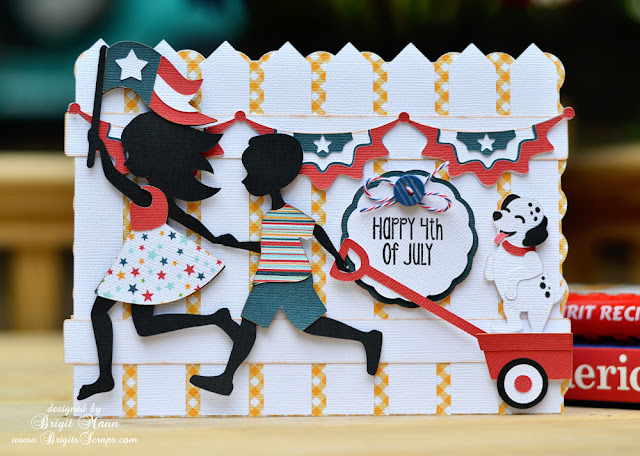 When I was designing the card I wanted that old fashion patriotic feel, like the kids were off to see the fireworks and I couldn't resist adding that adorable dalmatian! 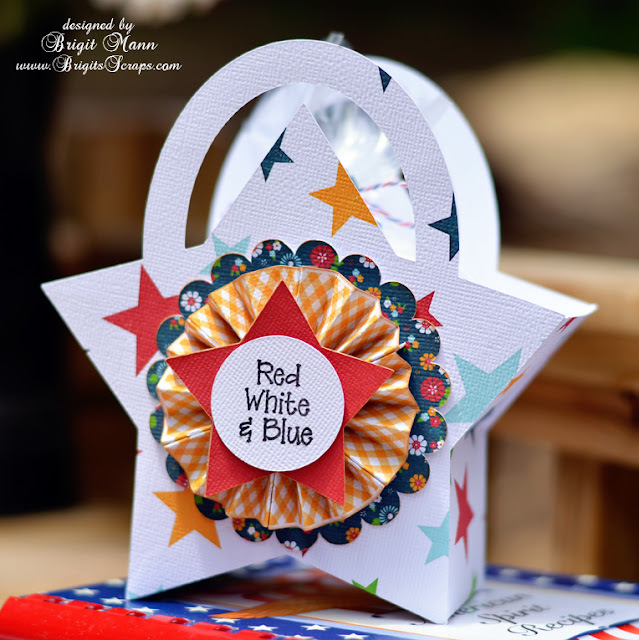 Love the Stars & Stripes Trendy Twine and the stamp sentiments from Jaded Blossom's Celebrate America stamp set, I'm going to miss making 4th of July projects! 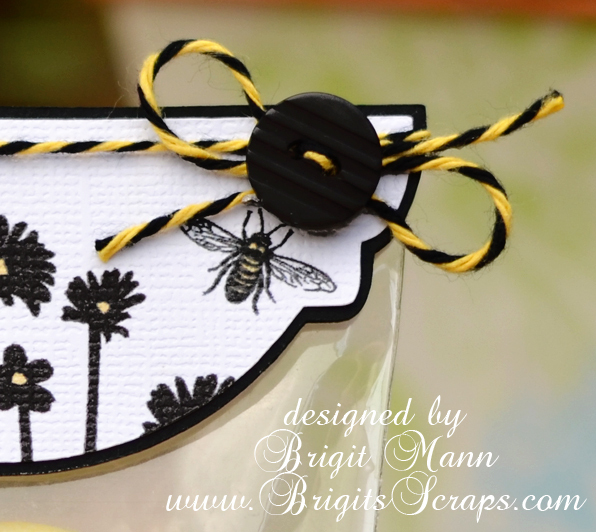 The fence card is from SVGCuts kit Chamomile Friendship Cards, this is such a great kit to have, you can decorate in so many different ways. The children are from the Made in the USA kit, dalmatian from Patriotic Parade and the wagon is from Crisp Days of Fall. 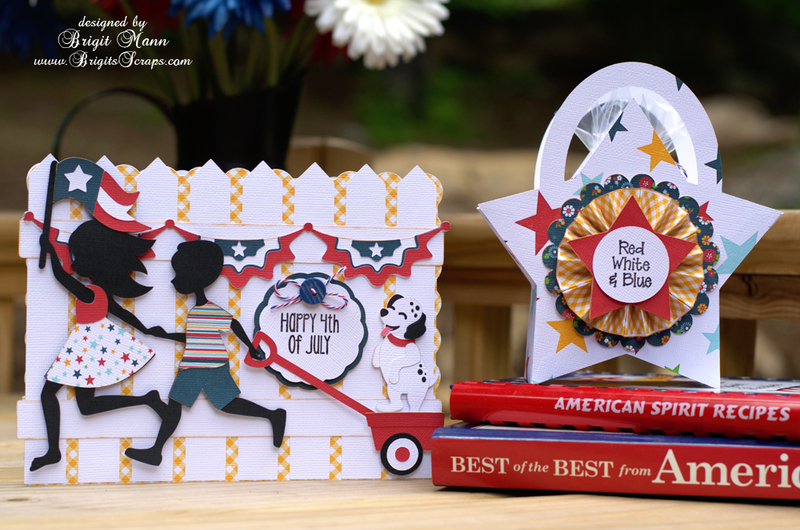 I also use both Uncle Sam's Extravaganza collections Part1 and Part2 for the bunting and scalloped circle. This star bag is actually from the Christmas Gift Bags and Boxes kit which also has a bag shaped as presents that would be great decorated for a birthday. The rosette pieces are all from the Vintage Paper Rosettes kit. The paper is from Lori Whitlock's Patriotic Picnic digital collection. Well thanks for stopping by and I hope you enjoyed my project!